Although the main reason that visitors flock to the Orlando is to experience the thrilling theme parks, such as Universal Studios Orlando, LEGOLAND, SeaWorld and Disneyworld, the truth is that the nightlife you will experience at Downtown Disney is equally as thrilling. While the name was changed from Downtown Disney to Disney Springs in 2016, most people still refer to it as the former. There are numerous awesome restaurants there, including The Boathouse, an upscale dining establishment with incredible food and a hefty price tag. Their Tomahawk Long Bone Rib Chop that serves two people costs a whopping one hundred and fifteen dollars! Add drinks to that and most people’s budgets will take a major hit. There is plenty of parking available however; it would be unwise to drive after having a few drinks. Hiring Downtown Disney transportation, or a Disney Springs limo service would be wise. Considering the cost of dinner, no one can afford a DUI charge and all of the fees and fines. Luxury Transportation Group USA offers top of the line Downtown Disney limo service in Orlando. The places for which adults can consume alcoholic beverages in Downtown Disney aka Disney Springs are plentiful. With the wide variety of options available to those of legal age, there’s no wonder why so many people get a little more than tipsy by the time they leave the area. Driving after drinking is dangerous for everyone on the roads, so using Downtown Disney limo services or Disney Springs transportation services is essential. It’s important to play it safe while you’re on vacation in Orlando. Luxury Transportation Group USA provides high end Downtown Disney transportation services to get you to and from your hotel safely and in style. 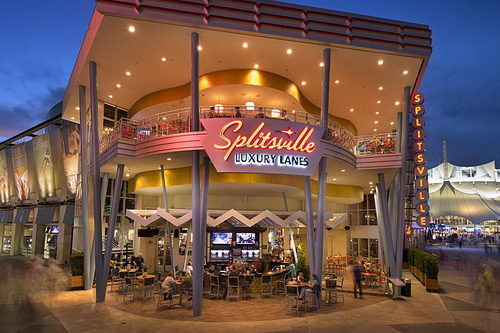 One of the big attractions that causes people to embrace Disney Springs, aka Downtown Disney is the myriad of incredible shops and boutiques sprinkled amid the high-end eateries. Another is Disneyquest with five complete floors that would wow even the most diehard gamer. It’s an interactive theme park with classic arcade games all the way through games that draw you into a virtual world of awesomeness. Again, between the gaming, shopping, eating, and drinking, you should hire Downtown Disney transportation. It’s always best to err on the side of cation. Luxury Transportation Group USA offers top of the line Disney Springs limo service or if you prefer, Downtown Disney limo service. Luxury Transportation Group USA is the premiere provider of Downtown Disney limo service and Disney Springs transportation in Orlando. With luxury vehicles and professional drivers, you are in good hands. Call 407-476-0429 to reserve Downtown Disney limo service in Orlando.